You may choose to assort up to four clip colors maintaining the same imprint color throughout the order. You may customize your clip by specifying a different front and back color, one combination only. We recommend using White or Black imprint, as is appropriate, on most clip assortments. Assort up to 4 colors of the same chip clip color category using the same imprint color. Note that recycled clips are simply solid color clips made with recycled plastic. 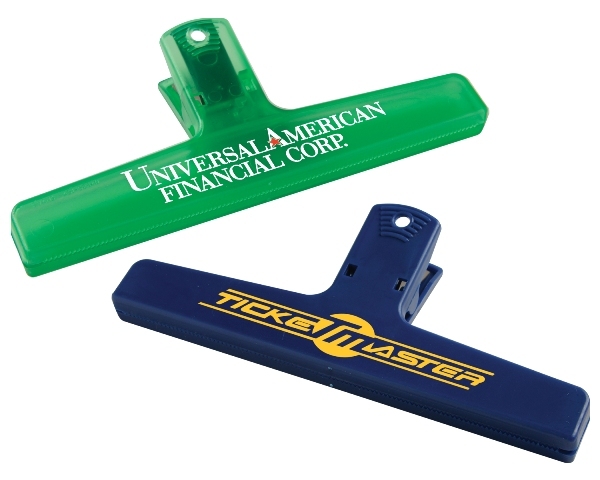 We recommend white imprint on most translucent color chip clips.